On occassion, I will upload a post before I have thoroughly proof-read it. Unfortunately, as soon as a post is uploaded, WordPress immediately converts and sends it to subscribers to my blog as an email, locked in time as originally written. I can still edit my posts after-the-fact, but most subscribers never see the revised version – that can only be done by going to the website. Yesterday’s post, Stockholm Pass, was one that did not read the way I meant for it to read and I have revised it. You can the revised version by clicking here. 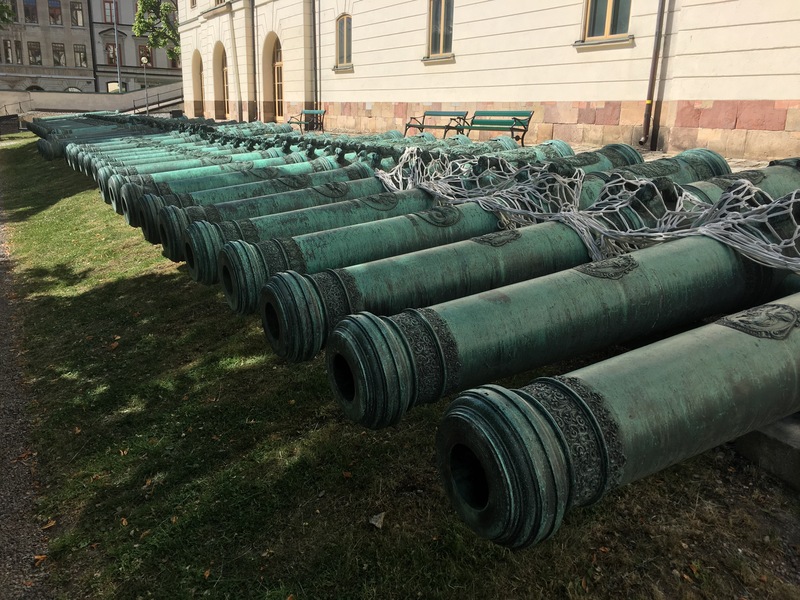 What troubled me about yesterday’s post as originally written is that is seemed to make fun of the fact that the Swedes pride themselves on not having been at war with any nation since the days of Napoleon. To the contrary, I admire Sweden’s pacific nature in modern times and wish that my own country – which has been at war somewhere in the world for more than half my lifetime – would emulate it. Given that our current Presidential candidates, Trump and Clinton, are Hawks, I am not hopeful in the near term. The point of my little rant was to express my disappointment with the Historical Museum’s portayal of the past at nearly every turn. While I recognize that any relation of history will be somewhat subjective, to me it is simply not acceptible for such a museum to attempt to rewrite history – including ignoring an entire epoch of a country’s past – in order to, for example, speculate about a particular monarch’s sexuality, just because it may be politically correct to do so. There is no pretense that this museum will relate anything other than the military history of Sweden. Little seems to be known about the people of Sweden before the days of the Vikings. While the Norwegian and Danish Vikings explored and pillaged westward, the Vikings from the lands of Sweden ventured eastward into Russia and all the way to the Black and Caspian Seas. We visited Viking sites a couple years ago when we were in Denmark which seems to have a stronger Viking heritage than Sweden, so I’m going to skip past this part of Swedish history, the Viking era (900-1100), as well as the centuries following it when Sweden was mainly pariochial with individual provinces lorded over by local chieftains. During this Late Middle Age, Sweden was inhabited by a peasantry that was unlike the serfs of the feudal system prevalent throughout continental Europe, but it did eventually came under the rule of a single king. By the late 1300s, the kingdom of Sweden was united with the kingdoms of Norway and Denmark in the Kalmar Union with the seat of the ruling monarch being in Copenhagen, Denmark. A somewhat uneasy peace lasted between these three kingdoms until 1523 when Sweden, then led by Gustav I Vasa (1496-1560), rebelled. Gustav Vasa was crowned King of Sweden on June 6 of that year (now celebrated as the National Day of Sweden) and after dealing with Denmark, he concentrated on domestic issues and is considered to have established Sweden as a sovereign nation. During his rule (which took place during the Reformation), he adopted Lutheranism as the kingdom’s official religion and confiscated the vast holdings of the Catholic Church (21% of Sweden’s land mass) for the crown (which previously held only 6% of the land). He filled the treasury, established a strong, hereditary monarchy, and created a sizeable army and navy. 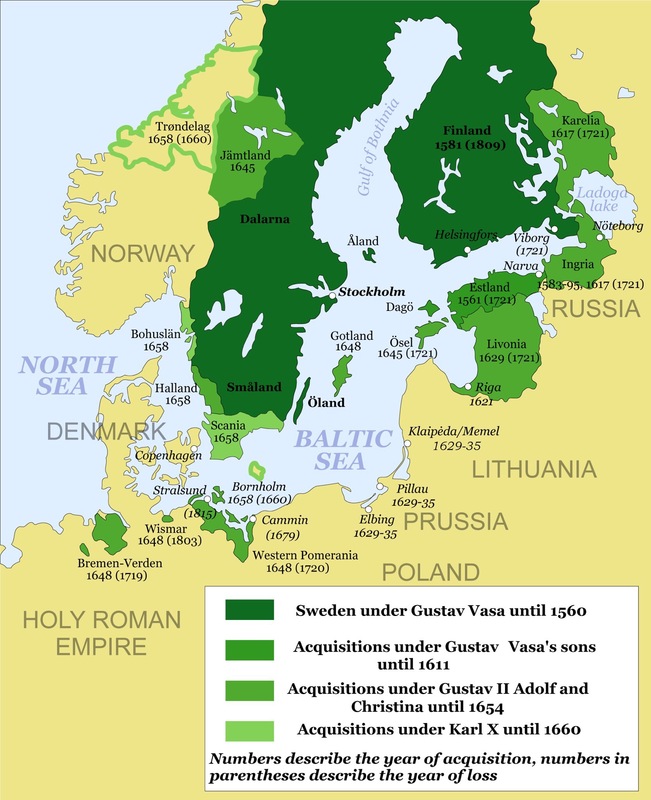 Nearly 50 years passed after the death of Gustav Vasa in 1560 with little of significance happening in the Baltic, although Sweden did form alliances with Estonia and Poland across the Sea during this period. In 1611, at 16 years of age, Gustav II Adolph (1594-1632), known to history as Gustavus Adolphus, inherited the crown of Sweden and wars with Russia, Denmark and Poland that his father had inadvisedly started. Under Gustav Adolph’s rule, Sweden was to become a major power in Europe. 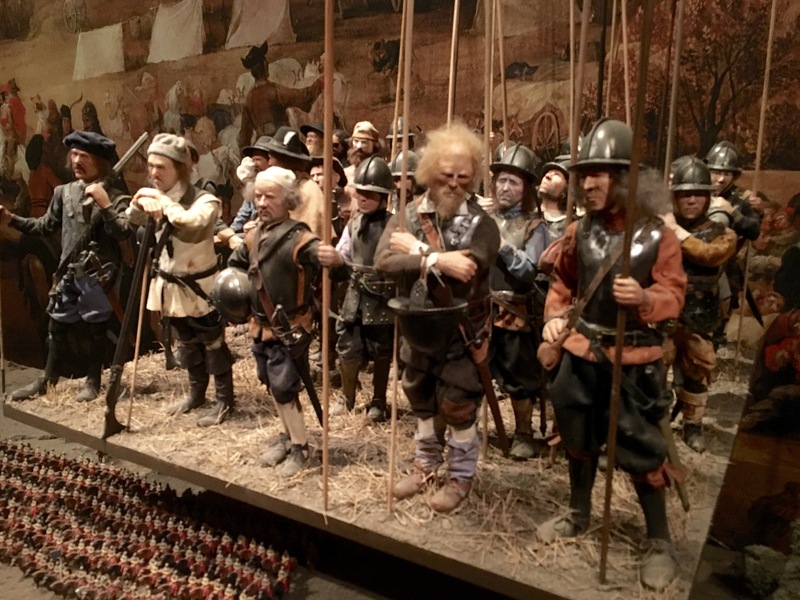 The young king wasted no time, conscripting peasants to create a standing army, creating an efficient administration and professional officer corps, cavalry and navy, and manufacturing what became known as the best weaponry of the period (remember the Vasa). By 1629, the three inherited conflicts had been concluded with Sweden gaining territory and customs rights in the process, effectively coming to dominate the Baltic. 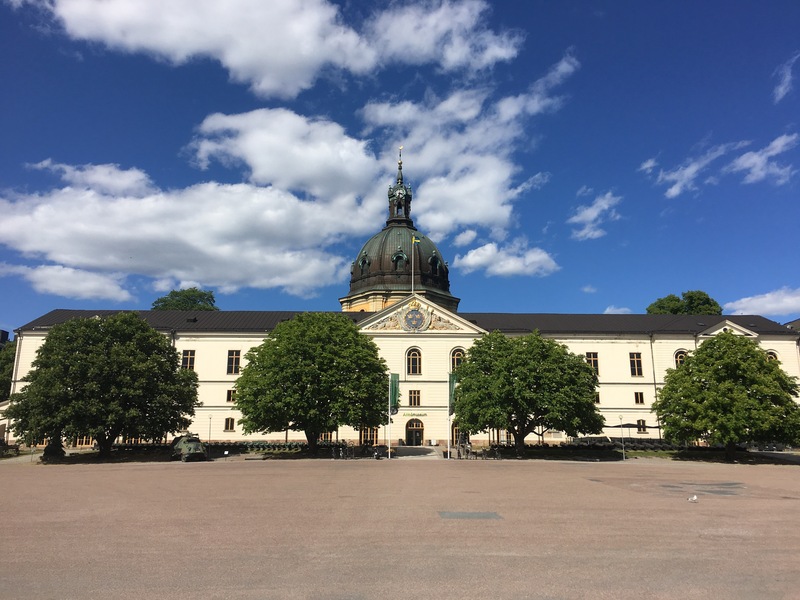 There is a second part of the story that begins in 1700 with the reign of Charles XII, but we’ll stop here for now. 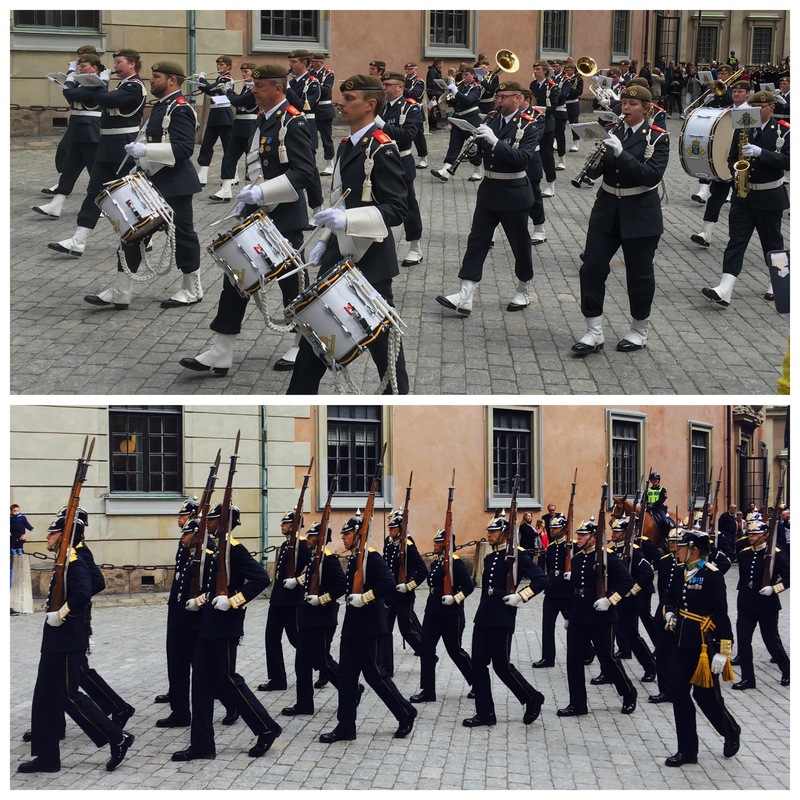 After the Armémuseum, in keeping with our military theme, we ventured back to Gamla stan to watch the changing of the guard at the Royal Palace. 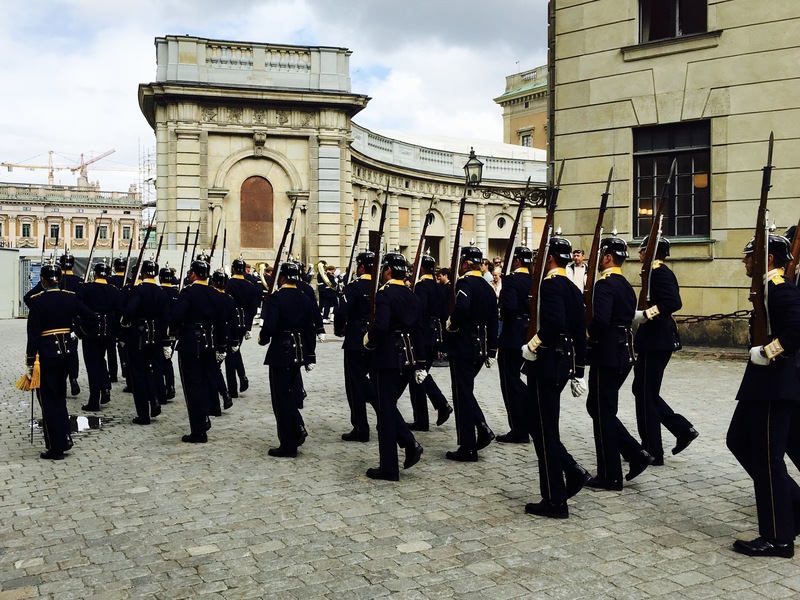 While no longer made up of conscripts (Sweden ended its draft in 2010), the Swedish military is still well served.